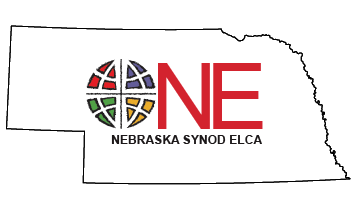 The Nebraska Synod Mission Vision Plan Oversight Team reports the following progress on the plan’s objectives and goals. “We are Church” Working Group is formed and making plans for introducing the theme at Synod Assembly. They have also begun developing 2017 Lenten resources for Synod Congregations. “We are Lutheran” Working Group is being recruited. They will introduce this theme in 2017 and also create Lenten resources for 2018. Congregational “Quick Check” assessment tools have been sent to each congregation. Many have been returned and 20 leaders are attending follow-up “Transformational Leadership” training. Synod staff have begun the discernment process of assessing every ministry/effort/program of the Synod, as well as their role and focus. A revised job description for cluster deans is being drafted. A Dean of Deans has also been appointed to aid in preparation and objectives for Dean’s meeting. The call process has been restructured with the addition of spiritual direction, congregational forums, and additional congregational care and support during and after the call process. Ad-hoc leadership networks (coalitions) are beginning to form and receive Synod Council approval. Intentional space for conversations of idea development are being explored for Synod events. A Stewardship Director has been hired in order to revitalize stewardship ministries and develop educational resources. A Development Director has been hired in order to develop new streams of income from a variety of resources. A Young Adults Team has been formed and has begun to meet. They will help to increase awareness, identify and develop strategies for congregations who seek to become better at helping this demographic grow in their faith. Recruitment of Seniors Group will be beginning.